I have read a lot lately about the myths of creativity and I would agree with most of these. Teresa Amabile is one researcher whose perspective I highly value and her myths of creativity can be read here. What I am interested in is how to enable creativity and have put together my non- exhaustive list which is based upon many years’ experience facilitating creativity. Some people might call this ‘out of the box thinking’, however I find this increasingly controversial as a topic. To challenge assumptions, you may even stay in the box, whatever this may mean for you! The problem is that it is often hard to recognise assumptions when we meet them as we may know them as facts! As you can see from this, we observe something, select from this observation, add meaning to this and then make assumptions which lead to beliefs and turn into actions. I believe we have all seen this process at work and there are lots of examples which could be shared here, many of them quite controversial. An exercise I have found very useful in working to challenge assumptions in any situation is one that was included in the Peter Senge book referenced above, is based upon the ladder of inference, and called The Left Hand Column. You take a piece of paper and draw two columns. On the right hand side you state the facts, or what was said in a situation. Against each of these points on the left hand side you write what you were thinking. As this shows the progression in any situation, it can throw light on the way in which are assumptions affect our perception of a situation. This can be very helpful in surfacing assumptions in any situation. 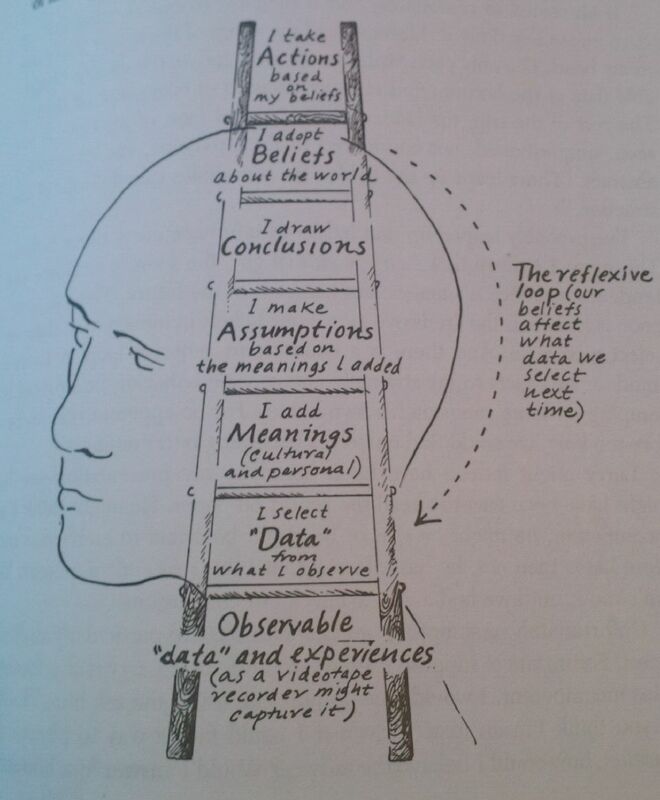 So to come back to challenging assumptions, it is based upon our perceptions as shown in the ladder of inference, in that we observe a situation, add meaning to it and develop our assumptions. Assumptions over time become beliefs and as a result turn into facts. In organisations this is how group think and mind sets develop. Sometimes it needs a new person to come in and challenge these assumptions in order to break out of set ways of thinking. However there are techniques such as the exercise above that can help challenge assumptions and in Creative problem solving, the challenging of assumptions is key.